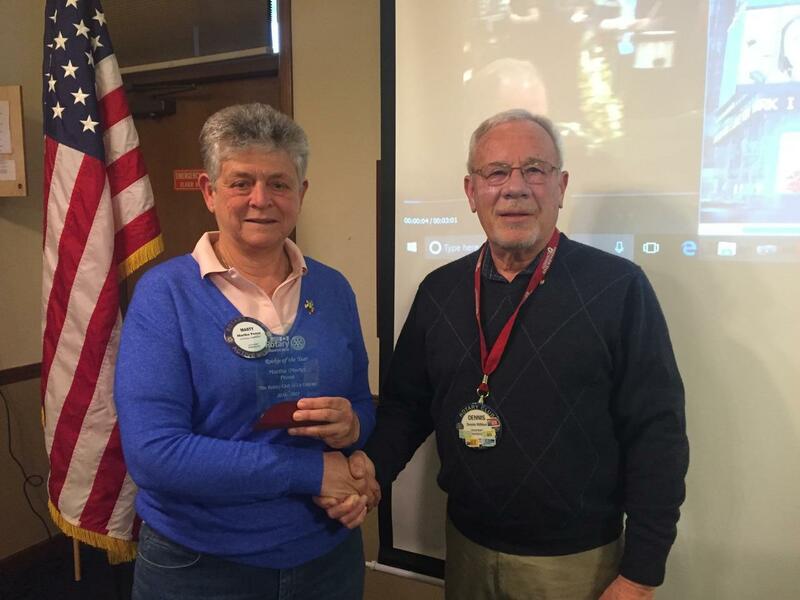 Marty Pease accepts her Rookie of the Year Award from fellow La Conner Rotarian Dennis Milliken. The award was announced at the District 5050 Conference, held in Seattle in early May 2017. Congratulations, Marty! generously supported, with her contributions, the La Conner Library Foundation. Conference, returning with shared ideas that will improve our club. club, as well as a continuing inspiration of her work to others.